Second place in Division A went to the J-Class Rainbow, on equal points with the 50 metre Fitzroy sloop Ohana in third. Division B runner up was the 57.5-metre ketch Twizzle ahead of the 55-metre Vitters ketch Marie. 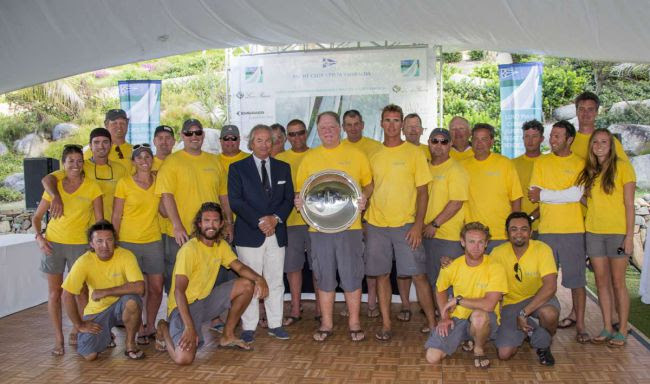 Division C silverware went to the 31-metre Dubois-designed sloop Sarafin, just one point behind the winner Moonbird, while the 27.4 -metre Tempus Fugit, built by Arkin Pruva, took third place. The Boat International Media Trophy for the event went to the 34-metre Nilaya, designed by Reichel-Pugh and built by Baltic Yachts. 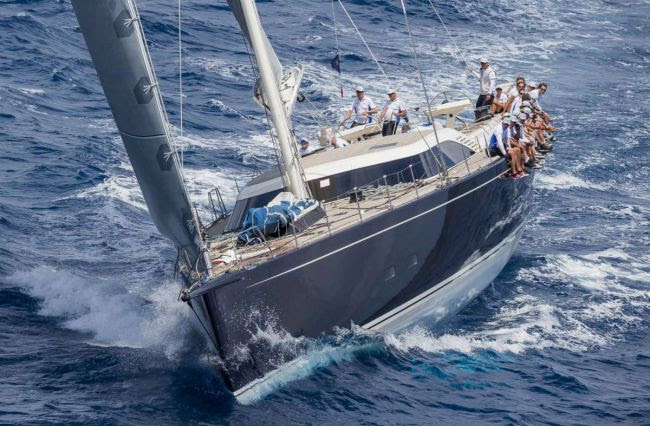 The 40 metre Rainbow, chartered by Pier Luigi Loro Piana and with Francesco de Angelis and Brad Butterworth on board, took victory in today's race among the division A boats. Nilaya claimed second place leaving her with an impressive 1-1-2 scoreline and overall victory. Filip Balcaen of Nilaya was pleased with the result despite some difficulties in today's race: "It is a fantastic place to race, good winds, nice competition, incredible boats so we really enjoyed it although today we had a bad race. We had a big problem at the upwind mark so downwind we were not able to hoist our code zero. Anyway the good thing was we only lost 3 minutes and in the end we came second which is not that bad and we won the whole regatta in our class." Owner Don Macpherson was thrilled with Freya's win: I couldn't be happier. One year ago we were here and we came in last! Over this past year we have worked very hard and for us to come in first today was just so rewarding, we're delighted. The crew has really pulled together, we've kept the same core guys and I take my hat off to our tactician Mike Toppa who has been a great help." 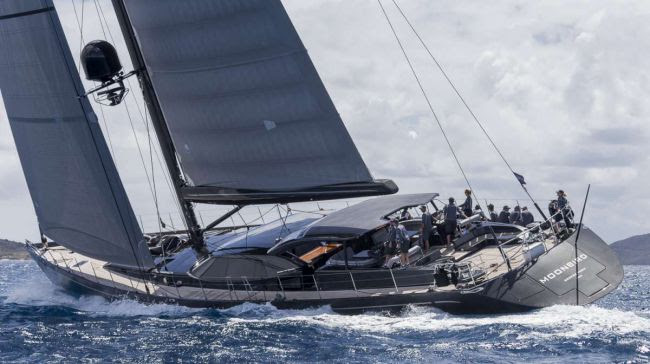 The 37-metre Fitzroy Yachts sloop Moonbird, with designer Ed Dubois on board, also claimed her second bullet today, sealing the fate of the 31-metre Sarafin which placed second in today's race and the division overall. The Loro Piana Superyacht Regatta will take place at the YCCS in Porto Cervo from June 3rd to 7th.